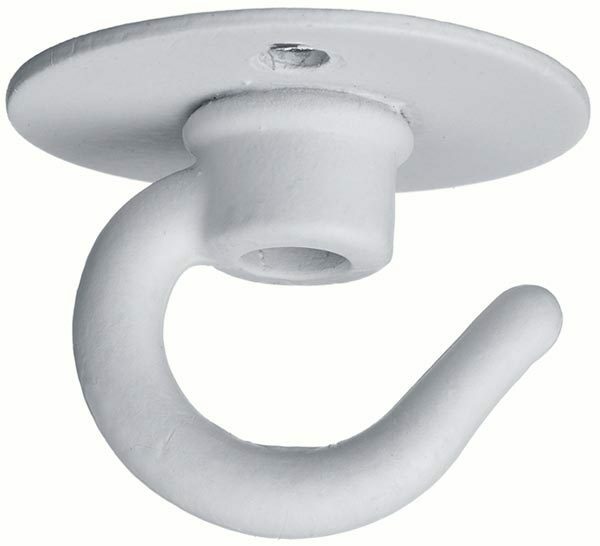 A small cream finish single cable hook for pendant lights. Designed to support cable or flex on lightweight pendants. Now you can have your light fitting hanging wherever you like and not just beneath the ceiling rose. Hand-made in Britain to order, please allow 5 – 7 working days for your delivery.